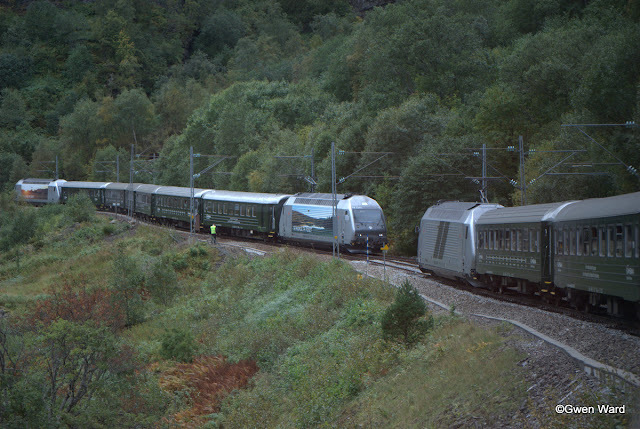 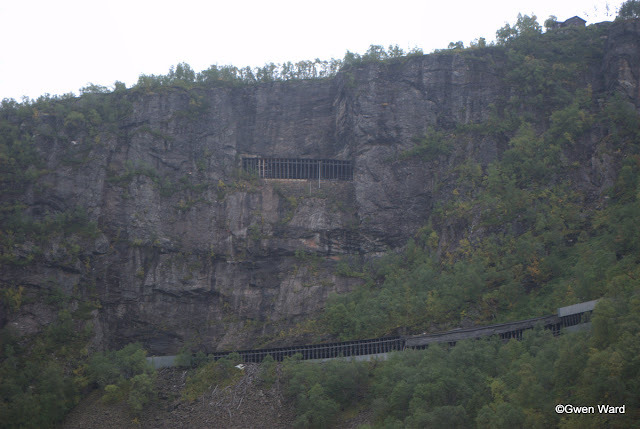 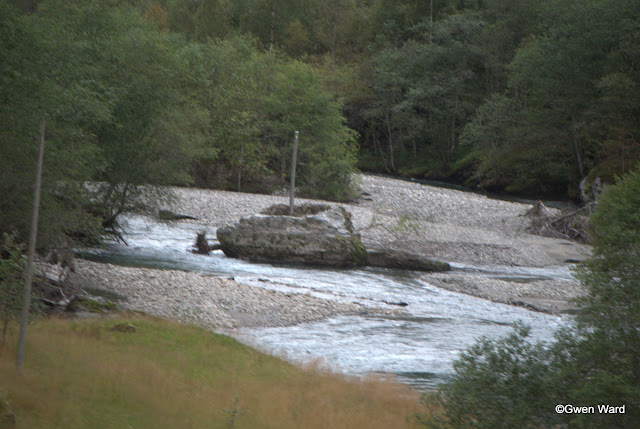 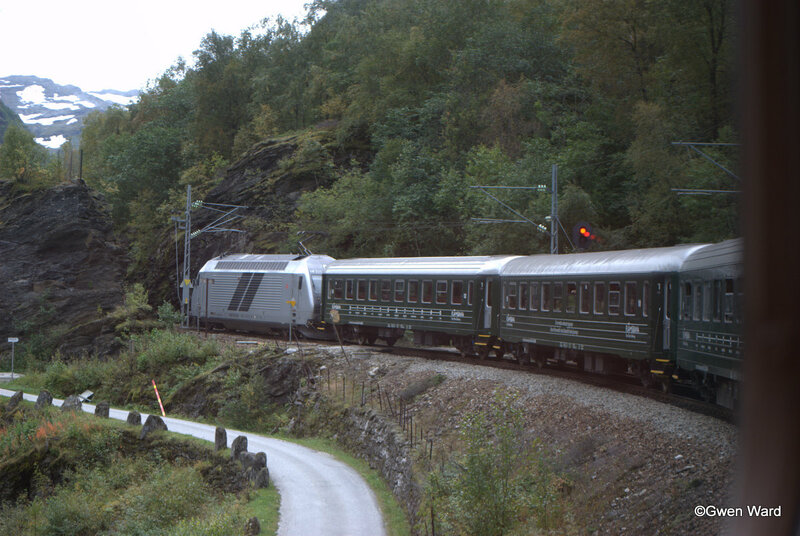 One of the highlights was a trip on the Flåmsbana railway. 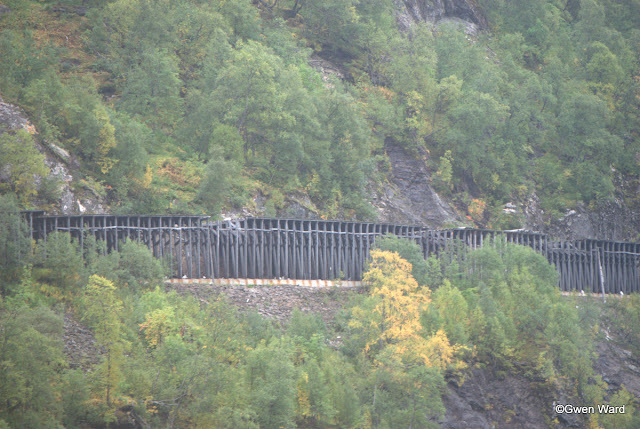 This is a single track line and completed during the last war. 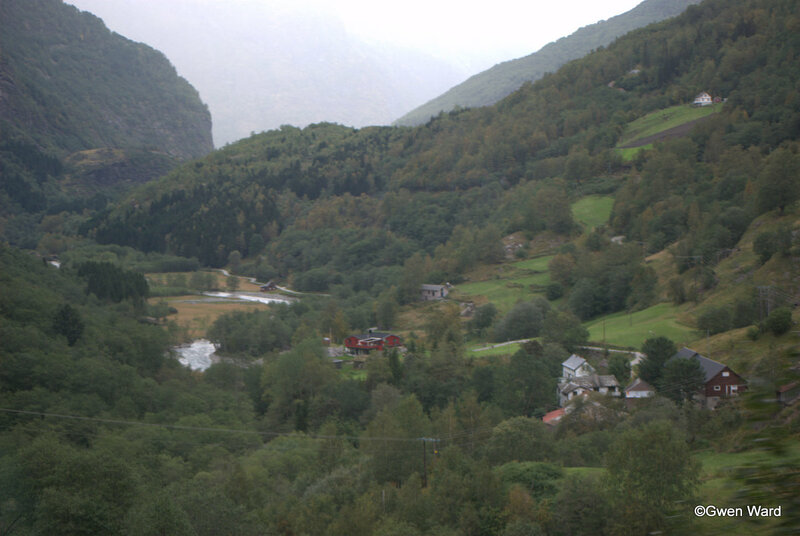 It is the steepest railway in Europe with an elevation of 863 metres with a maximum gradient of 5.5%. 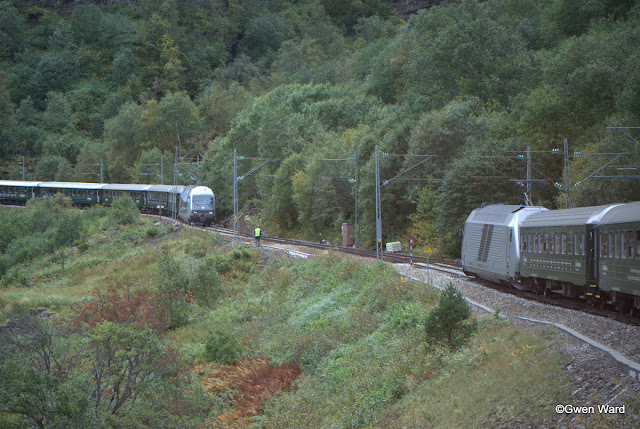 This is the only part of the line with two track where two trains can pass. We had to wait here for the train to pass before we could proceed. 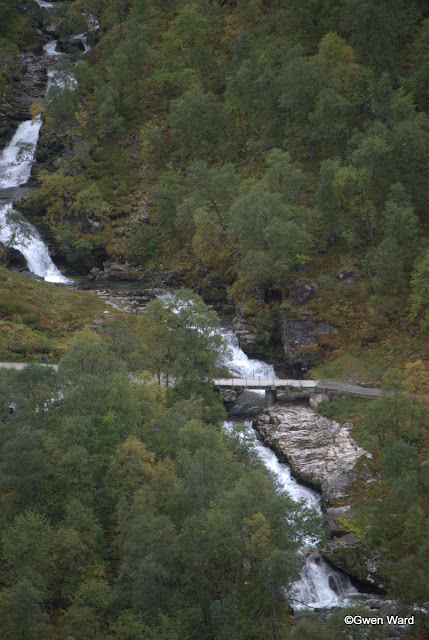 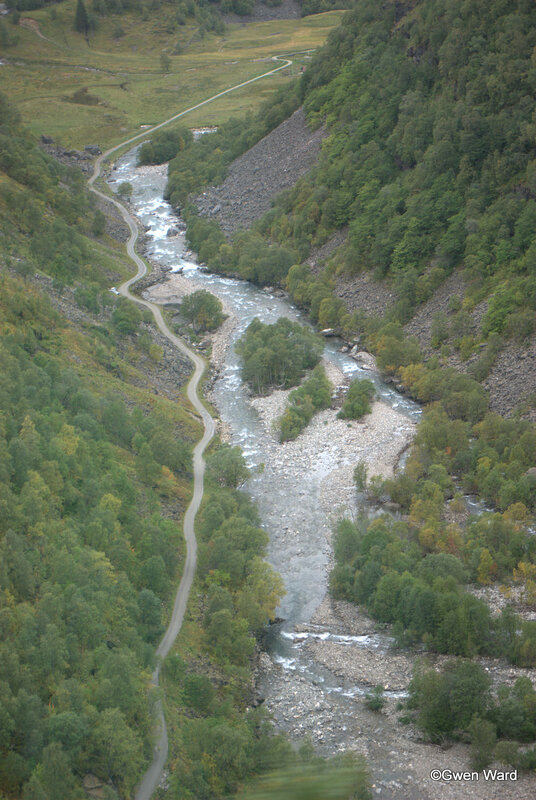 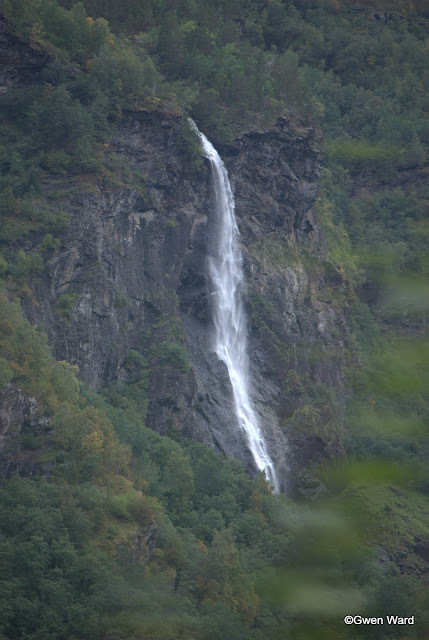 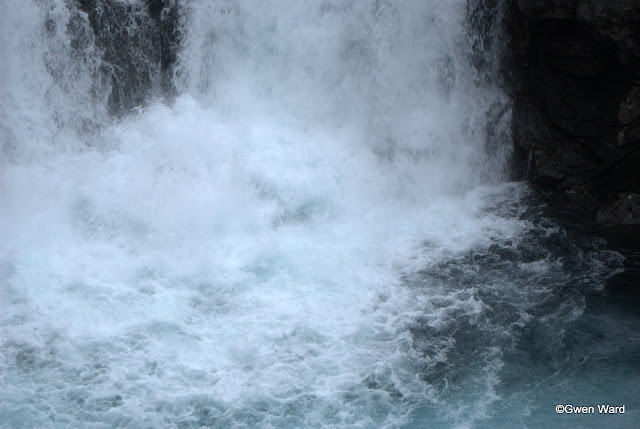 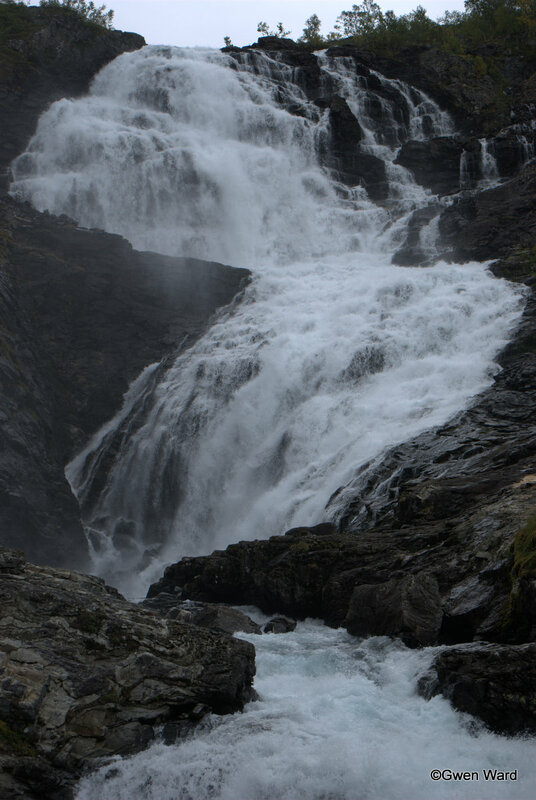 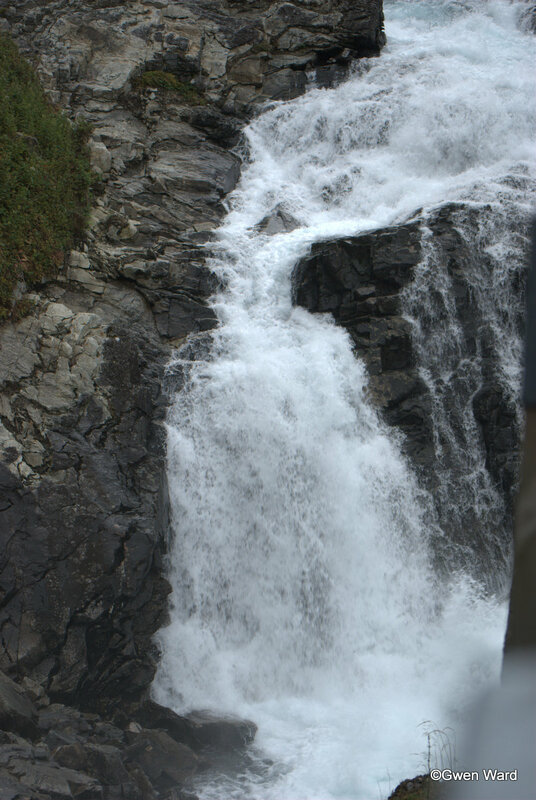 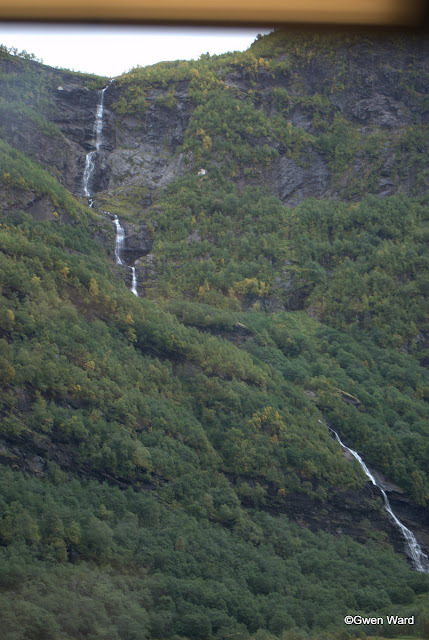 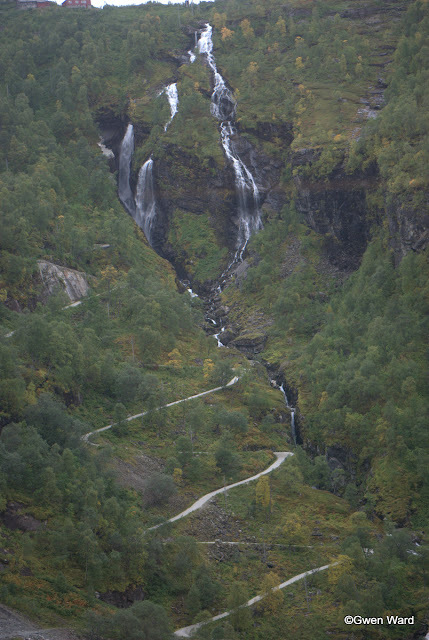 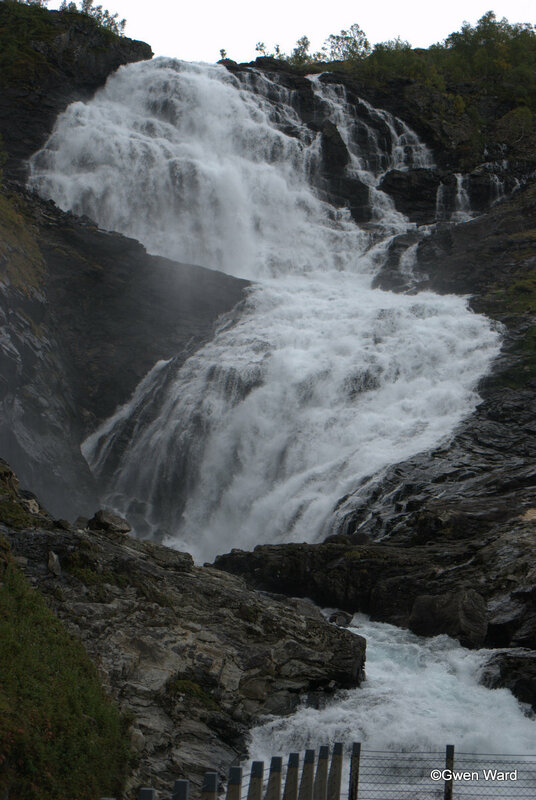 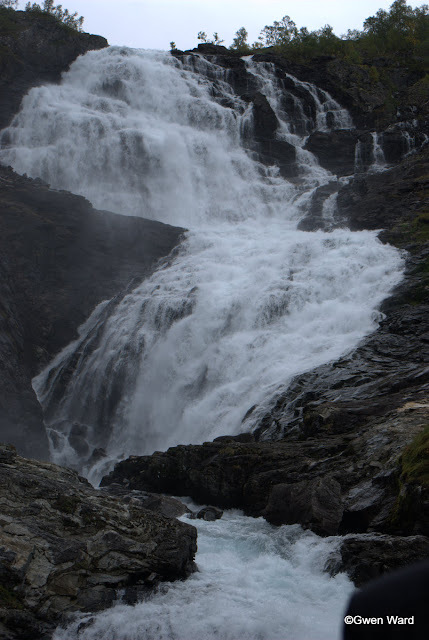 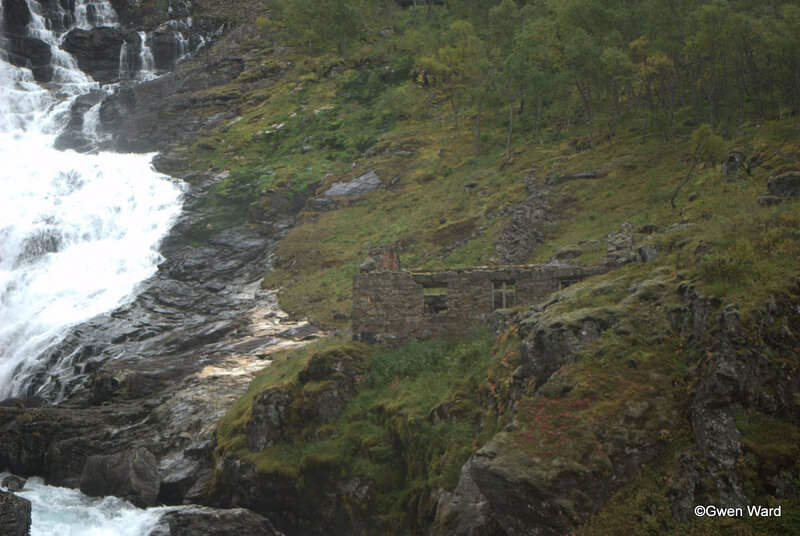 The Kjosfosen Waterfall with a freefall of 305 feet. The train stopped here for five minutes to allow passengers to alight to take photographs. 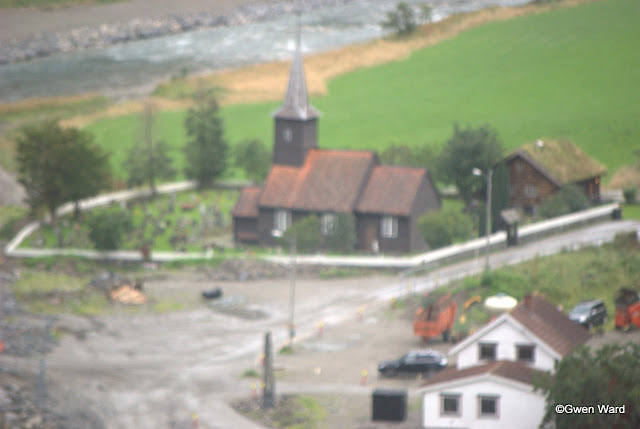 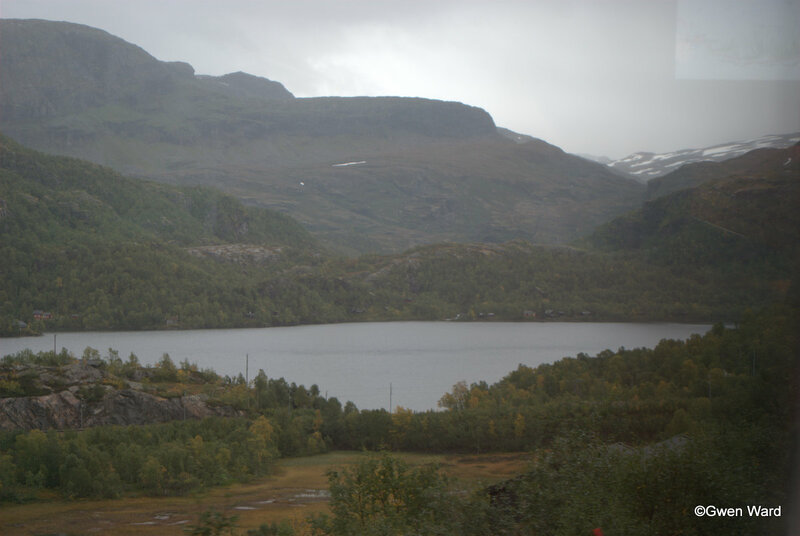 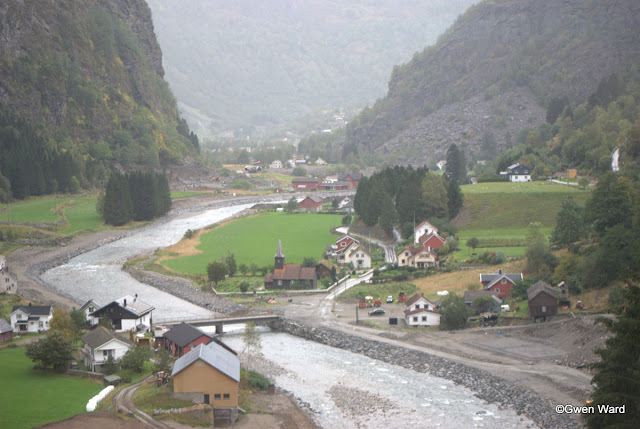 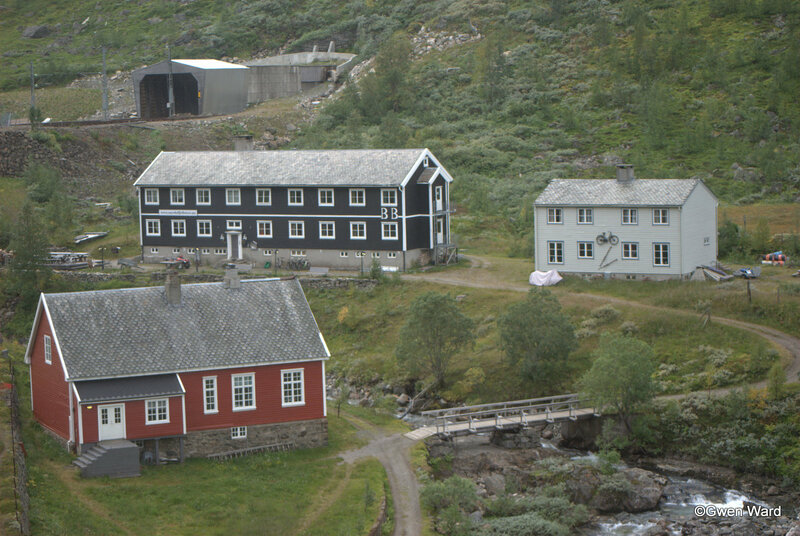 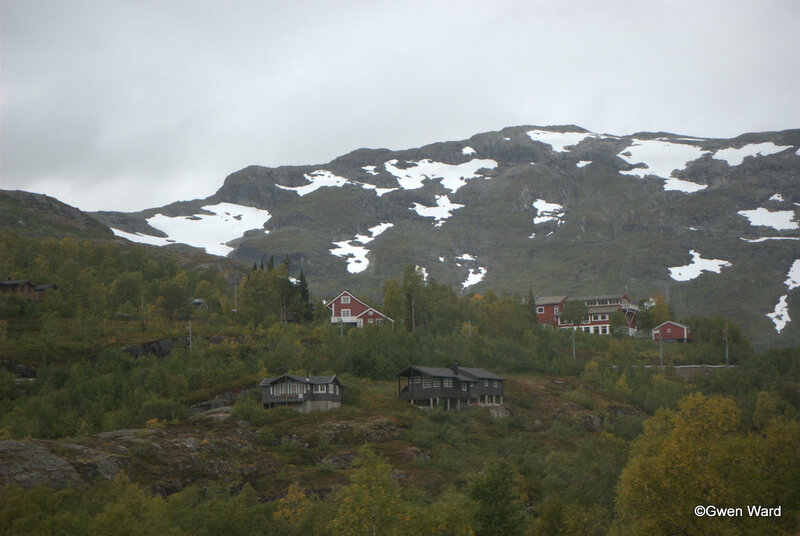 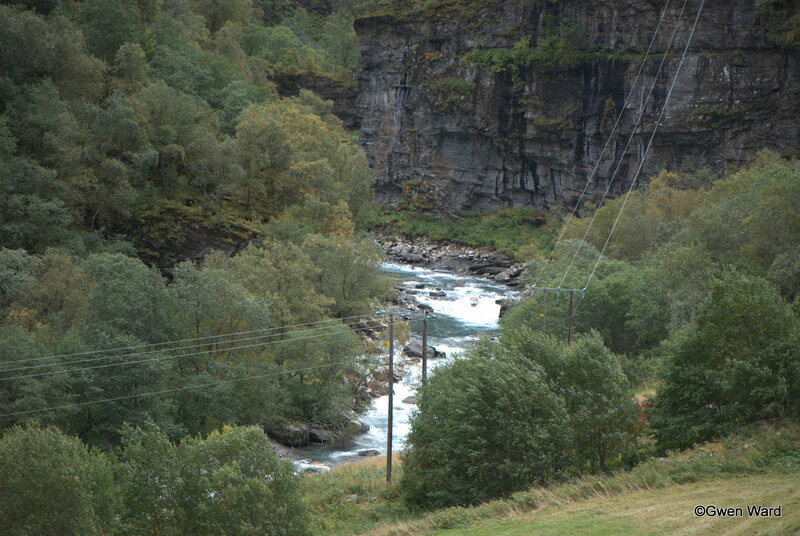 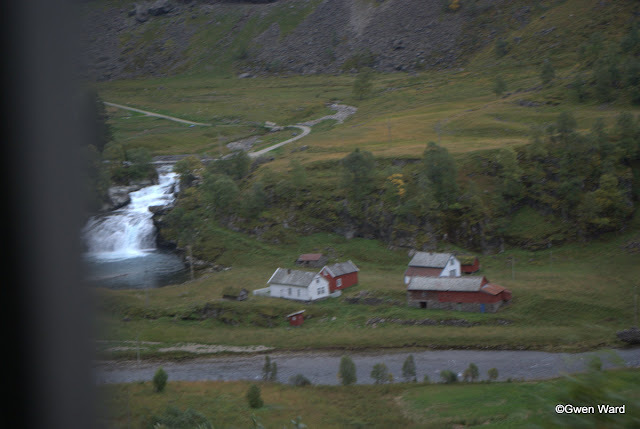 View from the train at out destination - Myrdal Station where the train returned to Flåm. Ongoing passengers left the train here to await the next onward train. Here you can see the outside of one of the tunnels - and in the next picture you can see how steep and curved the line is inside the tunnel - travelling from right to left, then left and then right. 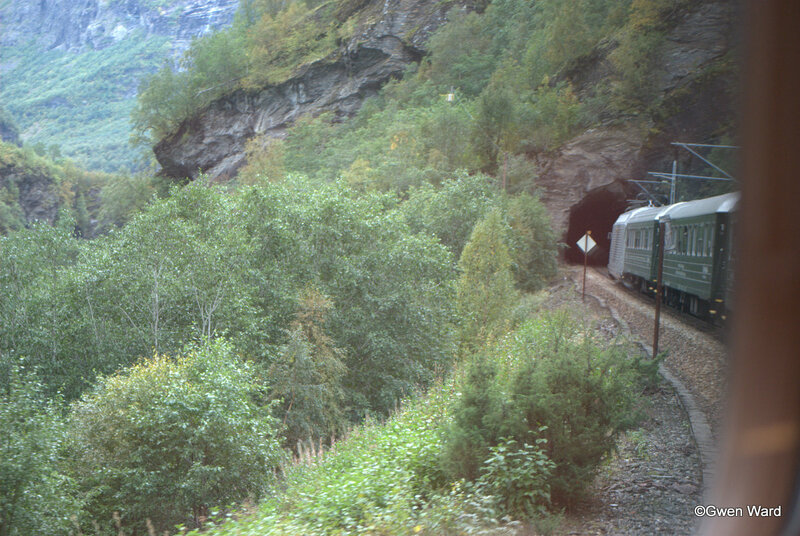 There was no indication when we were on the train of how steep and curved the line is. All the tunnels, at least on this part of the line, were dug out by hand. 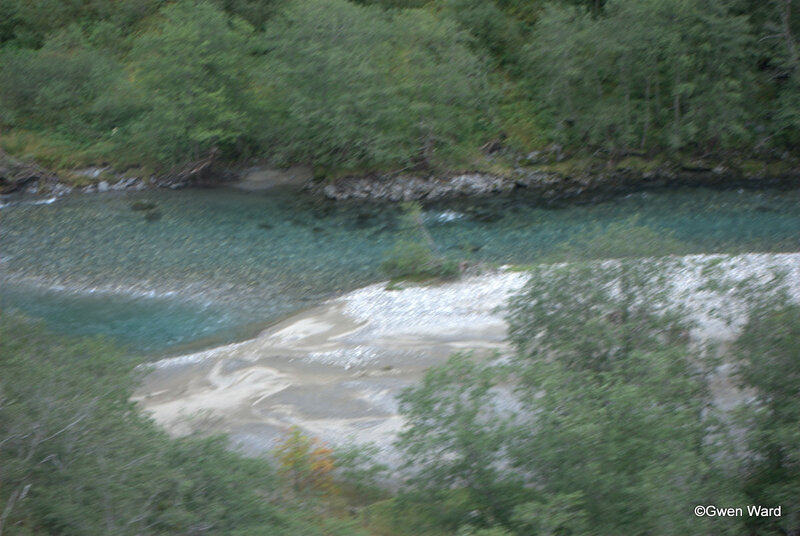 Apologies for the poor quality of some of these photographs which were mainly taken from a moving train.